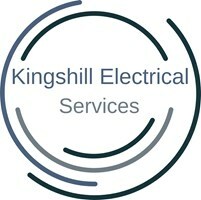 At Kingshill Electrical we take great pride in our work and ensure its carried out to the highest standard and in accordance with current regulations. We have 20 years of experience within the electrical industry from industrial, commercial and domestic. We are now also working in the electric vehicle charging market. We work closely with our clients to ensure we achieve our goals and complete work on time. We are a member of the NICEIC which checks our work every year to make sure we working to the current standards bs7671. We keep up-to-date with any training required as our industry changes. We carry out all aspects of electrical work- No job is too big or too small so please get in contact for a free estimate.